Home » Telugu » News » NTR biopic featuring Balakrishna to be made in two parts? NTR biopic featuring Balakrishna to be made in two parts? According to a leading daily, the highly ambitious NTR biopic—which features Balakrishna in the lead—may be made in two parts rather than a single film. Apparently, director Teja has been discussing the matter with political personalities and they feel that NTR was such a charismatic figure that one film can’t do justice to his life. This is a developing situation and it will be worth watching what happens next. 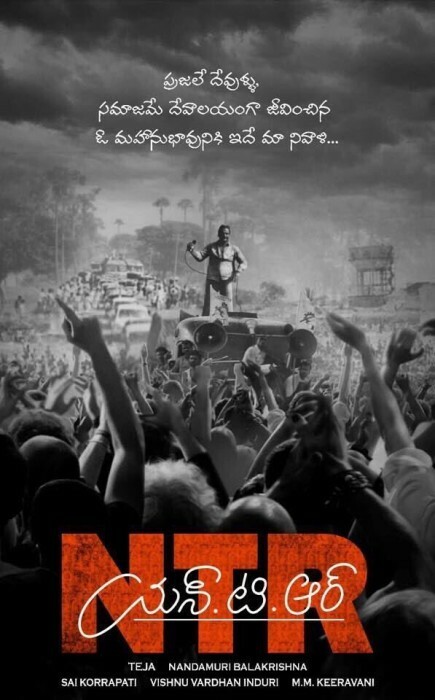 In case you were not aware, the NTR biopic was launched a few days ago amidst much fanfare. At the launch event, Teja had said that he was a big fan of the mass leader and hopes to do justice to his life story. Interestingly, the makers have approached Vidya Balan and Paresh Rawal to essay pivotal roles in the film and they are likely to give the nod soon. While Vidya has been offered the role of NTR’s wife, Rawal is likely to play a character based on former Andhra CM N Bhaskara Rao.